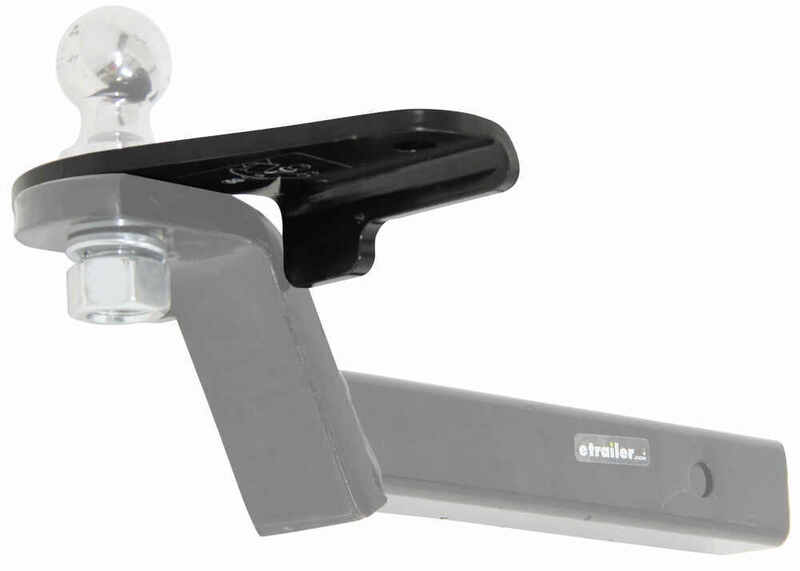 Adapter bracket mounts to your Class III or Class IV ball mount to provide an attachment point for a friction-style sway-control system (sold separately). 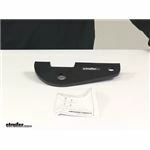 Call 800-298-8924 to order Reese accessories and parts part number RP26003 or order online at etrailer.com. Free expert support on all Reese products. 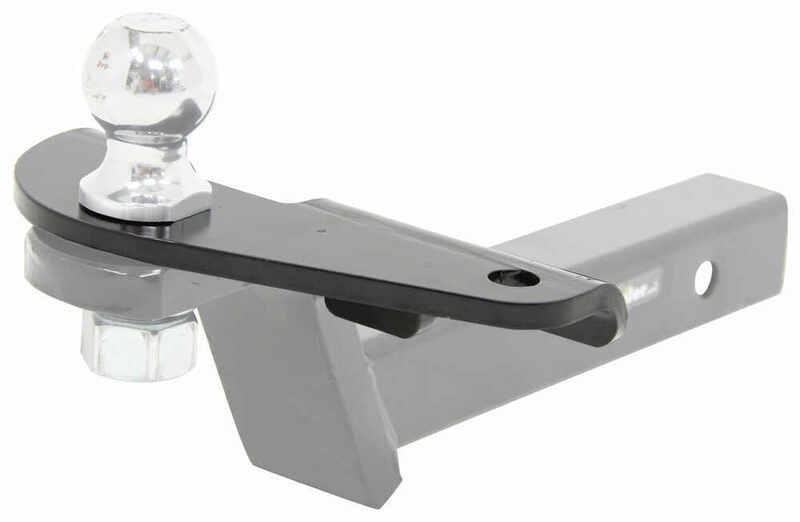 Guaranteed Lowest Price and Fastest Shipping for Reese Sway-Control Bracket for 2" Ball Mounts - Class III and IV. Accessories and Parts reviews from real customers. Measurement from center of ball hole to center of sway ball hole: 5-1/2"
Today we're going to be taking a look at the Reese Sway-Control Bracket for a two inch ball mount. 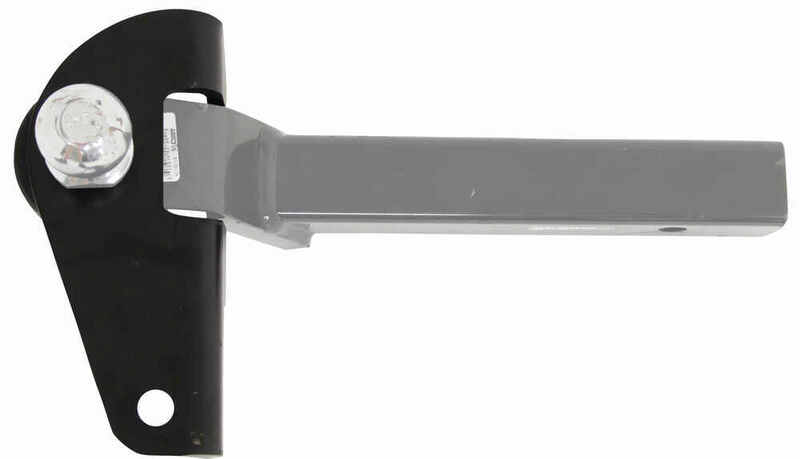 This bracket provides the attachment point for friction-style sway-control systems. It is going to be sold separately, Sway-Controls not included. The one that we'd recommend is going to be RPtwo6660. It can be found right here at etrailer.com. Simply allows for use of friction sway-control without having a weight distribution systems. This unit mount to your class three or class four, two inch by two inch ball mount. It's got the nice square cut out that rest on the ball platform. 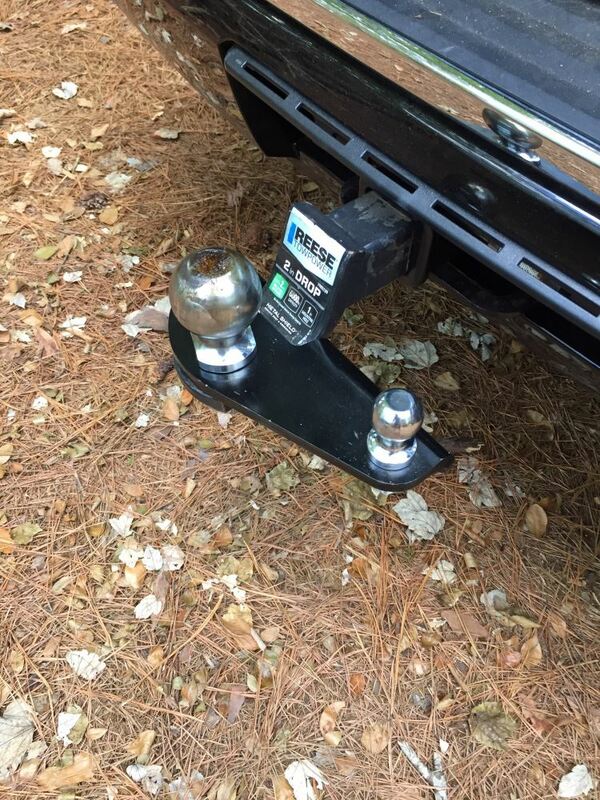 The hitch ball is what holds the bracket in place. 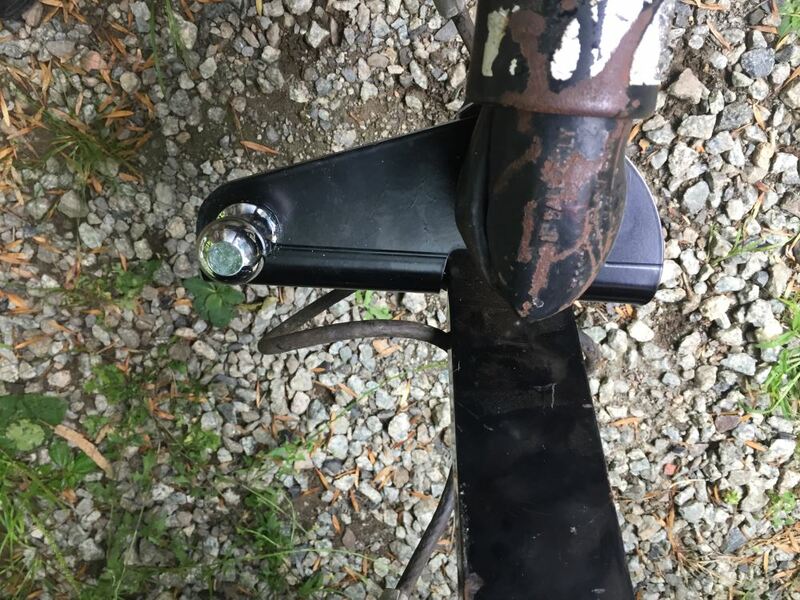 You would place this onto the mount, place your hitch ball through, and On the bottom side of your mount you would secure the hitch ball with a standard lock washer and nut that comes with a hitch ball. Hitch ball's not included either. 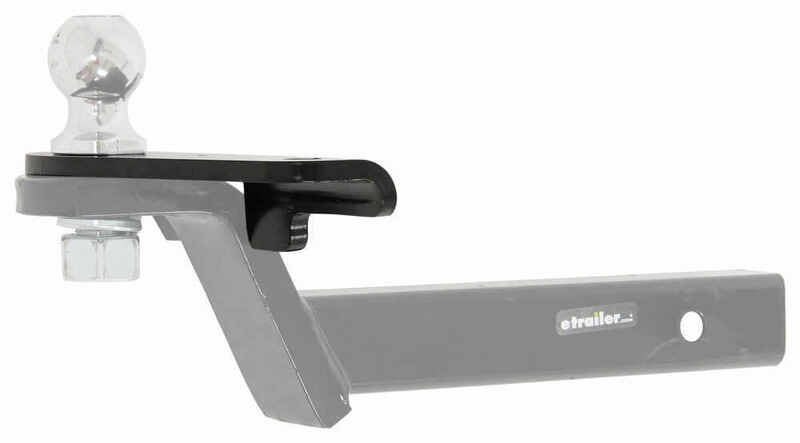 If you're in need of one you can find them here at etrailer.com. The unit constructed of a sturdy steel construction. Nice solid steel design. It's going to measure 3/8 of an inch thick, and it's going to have a black powder-coated finish, to resist rust and corrosion. Again it is designed for class three or class four, two inch by two inch ball mounts. The ball mount must be narrower than this gap right here, in order for it to fit. It needs to be narrower than the cutout. That cutout's going to be about two and 5/8 of an inch, so the ball mount platform must be narrower than two 5/8 of an inch to fit the cutout. The ball hole diameter for a hitch ball, that's going to give us a diameter of one inch. Again, the plate thickness is 3/8 of an inch. If you take a measurement from the center of this hole, to the center of the sway ball hole, just going straight across. You can see that that's going to be separated on center by 5 and a half inches. If we take a straight line measurement, it's going to be more like five and 3/8 of an inch. The unit's also covered with a limited lifetime warranty. It's going to come with your installation instructions. I do want to go ahead and show you how it would fit on a mount. Basically this plate would fit directly over the ball mount platform. 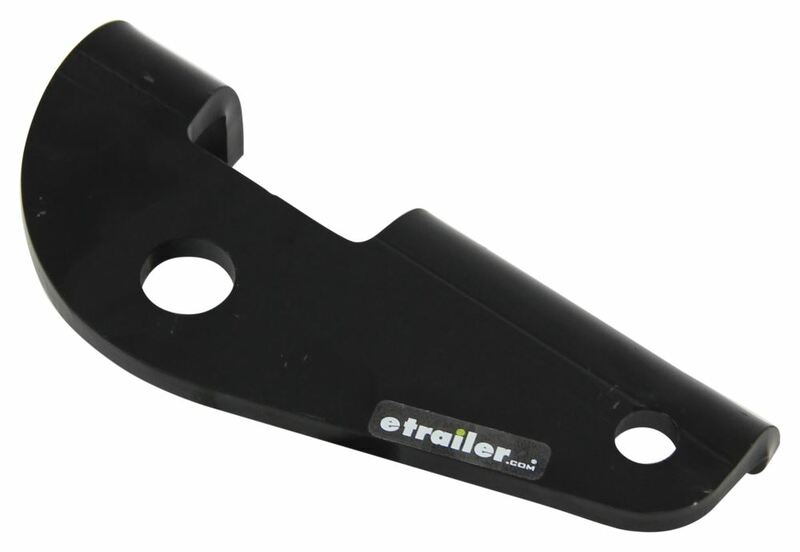 You'd lineup the holes of the bracket with the hole in the ball mount platform and then secure it again by installing the hitch ball. That's going to do for today's look at the Reese Sway-Control Bracket for two inch ball mounts. Order: RelevanceNewestRating - High to LowRating - Low to High Adapter bracket mounts to your Class III or Class IV ball mount to provide an attachment point for a friction-style sway-control system (sold separately). Thanks for the follow up. Just returned from a 3000 mile trip to the Colorado Plateau. Your sway hitch performed perfectly. Keep up the good work. Thanks again. 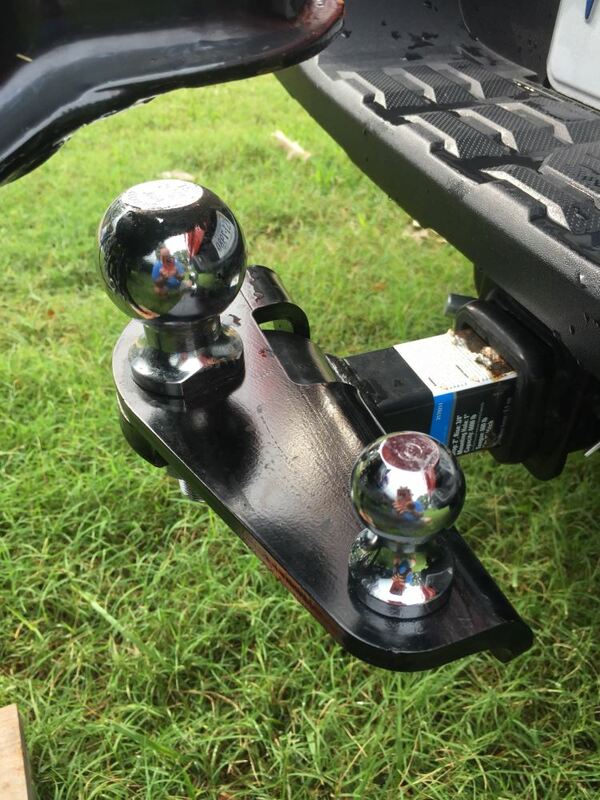 Not all ball mounts are the same width, but most are. When torqued down probably, the balls will exert enough clamping force that the ball will not back all the way off or loosen enough to fail. The most the platform could possibly rotate the assembly is around a 14 inch like the gap you have noticed. Not enough to release enough tension on the split washer on a ball to get it to back all the way off. This is not a precision piece because it does not have to be. Still works great! And it’s awesome because after about six months we changed the height so we just took the damper mount off the old draw bar and put it on the new draw bar, perfect. All the products I purchased work very good! Love etrailer and the web site you guys have!! I like all the photos and videos of the products you guys offer, It really helps to make a decision on what your purchasing. Please keep up the great work there with you and your staff!! 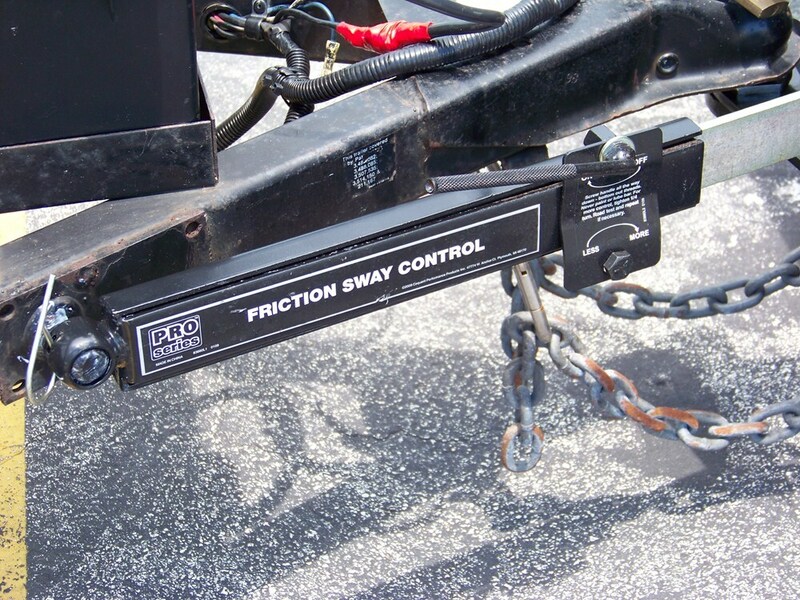 Will Curt Friction Sway Control Work Without Weight Distribution System? 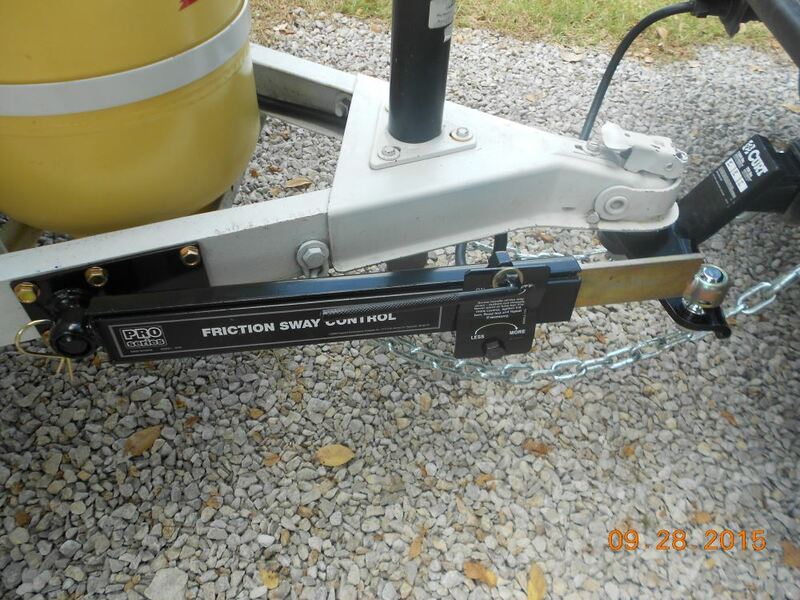 Yes, you can use the Pro Series Friction Sway control part # 83660 without a weight distribution system. You would just need to use the tab part # RP26003 on the ball mount as well. 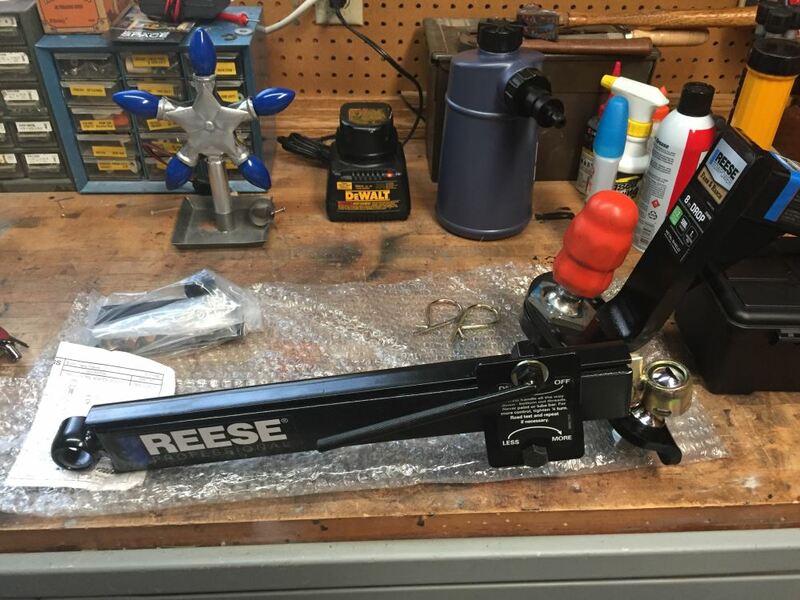 The Reese Sway Control Bracket, # RP26003, will work with 2-5/16 inch hitch balls as long as the shank of the hitch ball is no larger than 1 inch in diameter. 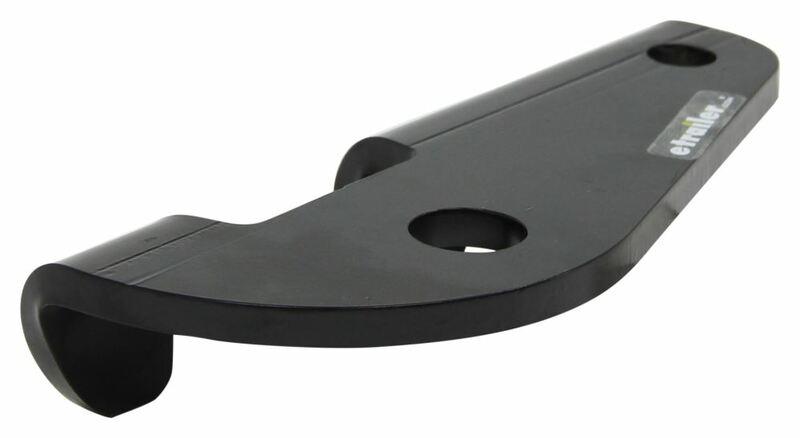 The ball hole of the Reese bracket has a 1 inch diameter. 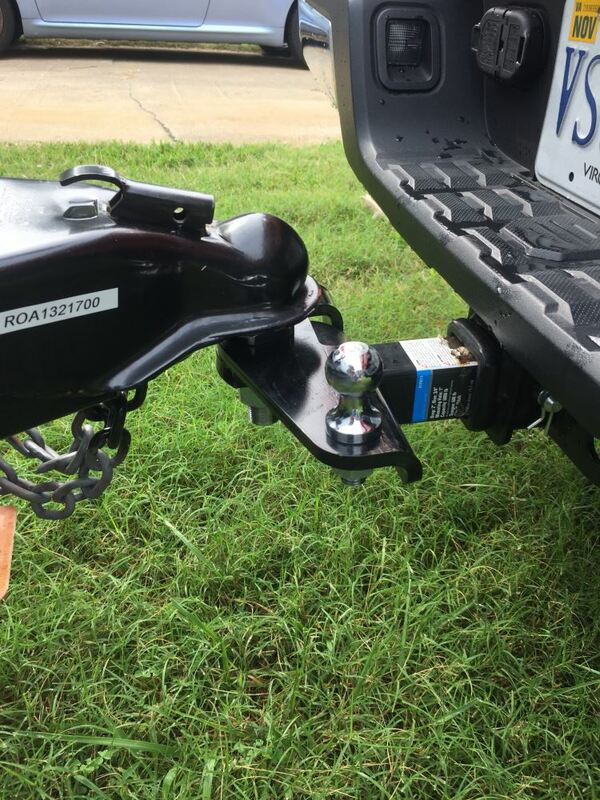 If your current hitch ball has a shank with a diameter larger than 1 inch, then I would recommend picking up the Curt 2-5/16 inch hitch ball, # C40007, with the sway control bracket.